Alas, my reputation. My friends will etch this on my granite tombstone: She Lived. She Loved. She served vegetables at every meal. Vegetables have become the brunt of jokes and part of dinner time threats. We are in a weird place as a culture. 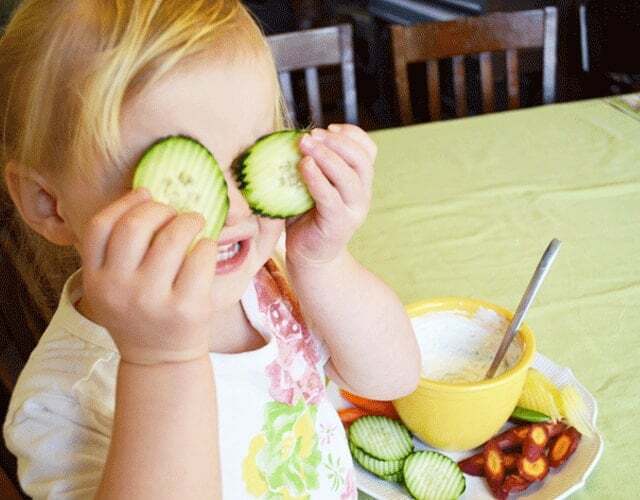 We know that veggies are important, but most of us have no idea how to teach our kids to like them. We resort to empty threats about the troll that lives under the table. But threats just won’t do. Especially ones that involve hairy trolls, early bedtime and no more ice cream. I love using Super Healthy Kids as a veggie recipe resource. There are nearly a gazillion vegetable ideas and they don’t involve raw guilt served with a sprinkle of threat. Kids need happy experiences with veggies. No nagging. No stress. No punishment. Learn these stealthy and silly tips to make veggies the norm at your house. Appease with An Appetizer: We were invited over for dinner and my friend pulled two trays out of her fridge when the kids were milling around waiting for dinner. One was fresh cut fruit and the other was cut up veggies. The kids chowed down on veggies when they were genuinely hungry. No battles. It didn’t matter how many vegetables were consumed at dinner because they had all eaten some before the main meal. Act Up: When you go to help your kids with homework, enter the room while chomping away at a long carrot or broccoli. The bigger the veggie, the better the reaction. You’ll receive laughs and requests for their own. Vegetables can be fun. Really. Convenience Store: Have precut veggies out for grazing kids. Make it really, really, really easy to grab and snack. Try baby carrots and snap peas. Refuse to Share: I mention this one because it happens at our house and it’s hilarious. Get caught eating an enormous salad. Act really upset that you’ve been caught – make sure there are a few leaves stuck in your teeth. Refuse to share and let them chase you around the house. Give up the chase and allow them to steal the spinach. Toddlers LOVE this. Name Game: Name veggies after their favorite cartoon characters. They will forever associate Broccoli with the Hulk. 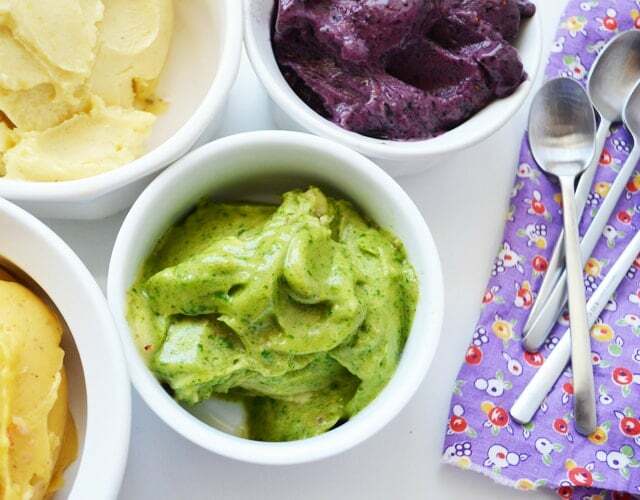 Go for a Dip: Make a few dips or dressings and ask them to pick one they like. Kids love to share their opinions. Try some of our faves like, honey mustard or sweet sesame. Chop Chop: All of my kids can use knives. Use your discretion as a parent on this one. But it’s empowering for them to cut up their own veggies. You’ll be pleasantly surprised what they will eat if they help prep. I’ve watched my boys snack on raw Brussels sprouts like it was their job. Make Sprinkles: Finely grate carrots or cabbage and call it sprinkles. 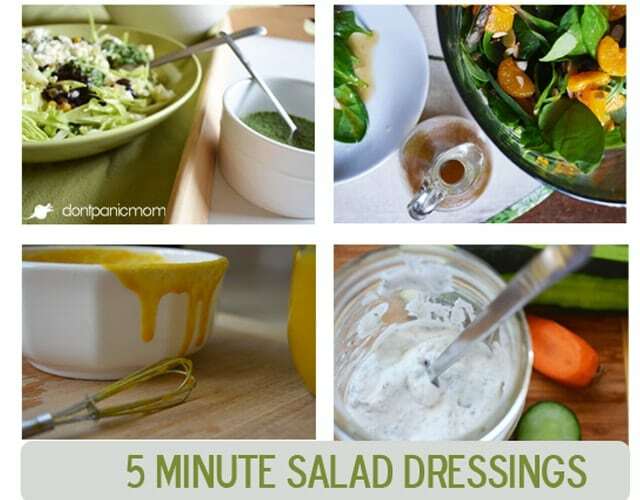 Invite your kids to sprinkle them on top of pizza, salad, sandwiches, bagels, etc. If they’re old enough – invite them to make the sprinkles themselves. Enlist a Celebrity: Plot with someone your kids think is super cool like a cousin, uncle, family friend, etc. 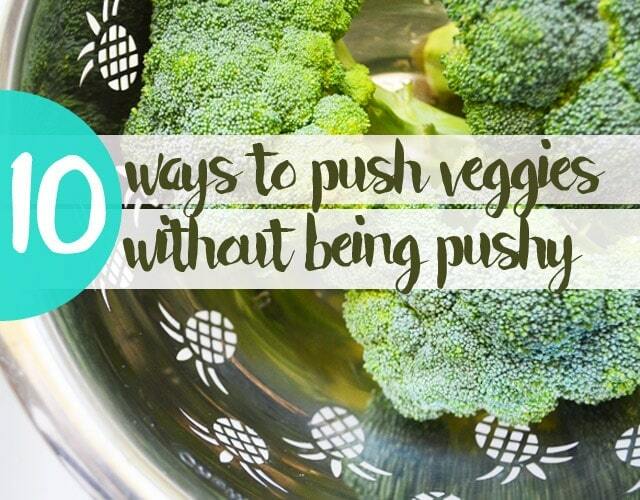 Have them over and make their favorite veggies. Before the meal ask them to sit near your kids and heap the veggies on. Play it cool the next time your kids ask for Cousin Frankie’s favorite broccoli salad. Surprise Them: Help shift the reputation of veggies. You can show off the versatility of veggies by making this green Banana Ice Cream with spinach. You can also show off the fun side of veggies with interesting colors like purple cauliflower and orange bell peppers. Hurry. Try these out before my friends start making any more plans for my veggie-themed tombstone. Love the blog! I struggle to get my 16 month old to eat healthy. He had such bad reflux as a young baby that now, as a toddler, he has a “hypersensitive gag reflex”. He will vomit the likes of mash potato or a croissant if a flake of pastry hits the back of his throat. It’s a struggle. He has a major sweet tooth and I’m constantly fighting with the rest of the extended family to cut back his sugars so he can develop an interest in savoury foods but it’s an uphill battle. Any recipes that would fit? Maybe bridge the sweet/savoury gap so I can gradually move into more veggies?